In March I wrote a guest blog for the very people that make pooping in public possible - Poo-pourri. If you follow me on Twitter, you'll know all about my undying love for a product that changed my life and the way I poop. I've introduced so many to its magic, and to this day most will freely talk about that first life-changing poo with Poo-pourri in their loo! 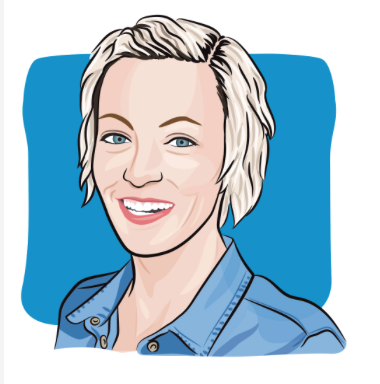 March was Colorectal Cancer Awareness Month, and as passionate as I am about raising awareness for this largely preventable cancer, I'm even more passionate about raising awareness about the drastic rise in young onset colorectal cancer. 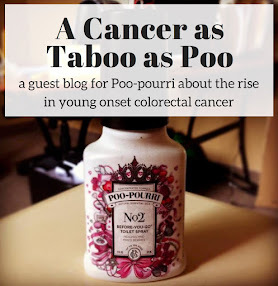 Poo-pourri gave me a chance to write about poop for an audience that was already clearly comfortable with the topic, but perhaps not as comfortable as I was about to make them. CLICK HERE to go to the guest blog on Poo-pourri's website, or just read below. 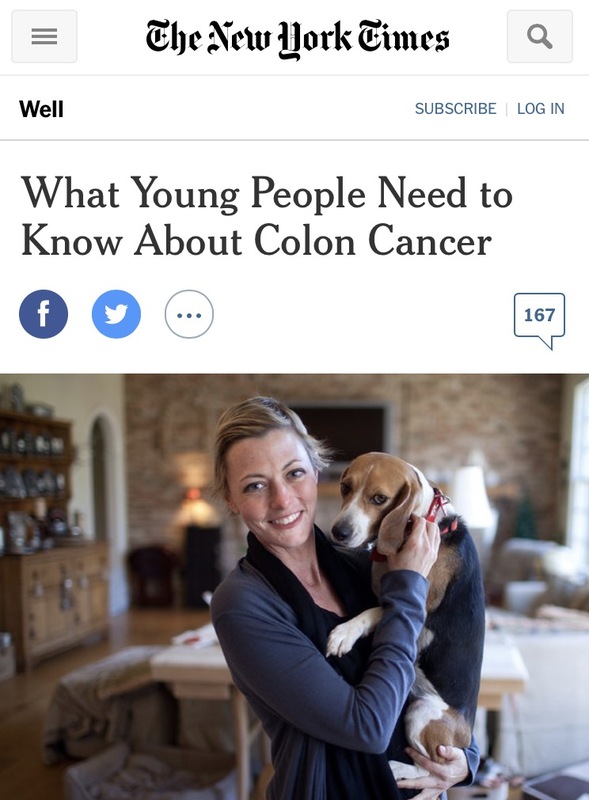 Each year, over 10,000 young adults are diagnosed with colon cancer—a number that is on the rise and expected to double in the next 15 years. For these unsuspecting under 50s, poop isn’t just a part of life—it becomes a way of life. Most people associate colon (or colorectal) cancer with the over 50 crowd given the current recommended screening guidelines. And that’s the catch, colon cancer can be largely prevented through screening. With the sharp rise in people under 50 having a cancer associated with their grandparents, there are clearly going to be those impacted by colon cancer that don’t fit the current screening recommendations. As much as we are preoccupied with the smell of our poop, we should also be engrossed in the appearance of it. That’s right, turn around and take a good long look at what’s in that bowl; it may be trying to tell you something. The size, shape, color, consistency, and even ease (or lack of ease) with which it departs your other end says a lot about your health. Its delivery from your backside can speak in more ways than just noise. Every person has their own “normal.” But when is it not normal? And when does it mean it’s time to call up the good ol’ doctor? Blood in your stool (or on the toilet paper) is not normal. Regardless of its source, it shouldn’t be there. If you see it talk to a doctor about finding the cause. Now before you pull your pants up a little higher and buckle your belt a little tighter, remember that it’s all in a day’s work for these tried and true physicians of poo (aka: gastroenterologists). Another warning sign? Any time there is change in your “normal” bowel habits take note. When the change doesn’t change back, it’s an indicator that something isn’t right. Is it thinner? 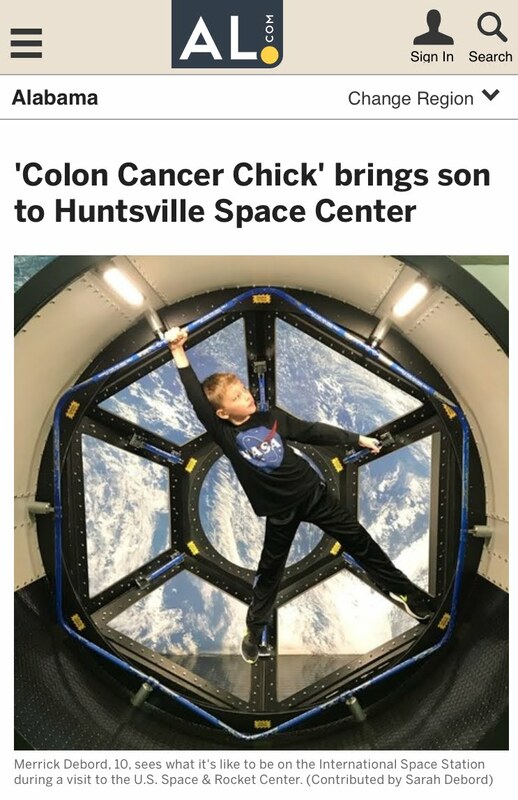 A different color? A different consistency? It’s also important to ask your family about their health history. Maybe not during a Thanksgiving feast, but take the time to learn any history of colon cancer or polyps in your family. So what’s a concerned college coed to do? How can a tired thirty-something take action if they’re concerned about their poop? Don’t be embarrassed. And don’t ignore the symptoms. If you aren’t satisfied with the response you get from one doctor, get a second opinion. If symptoms don’t improve, continue advocating for your own health. Look at your poop, know your poop, and listen to you poop. It may be trying to tell you something important to your health. Studies have reported increasing colon cancer incidence in adults under 50, for whom screening is not recommended for those at average risk. Colon cancer has been increasing in the United States among adults younger than 55 years since at least the mid-1990s. Those born in 1990 have double the risk of colon cancer and quadruple the risk of rectal cancer. For more information about signs and symptoms, and young onset colon cancer, visit www.coloncancercoalition.org. Poo-pourri: Never leave home without it. 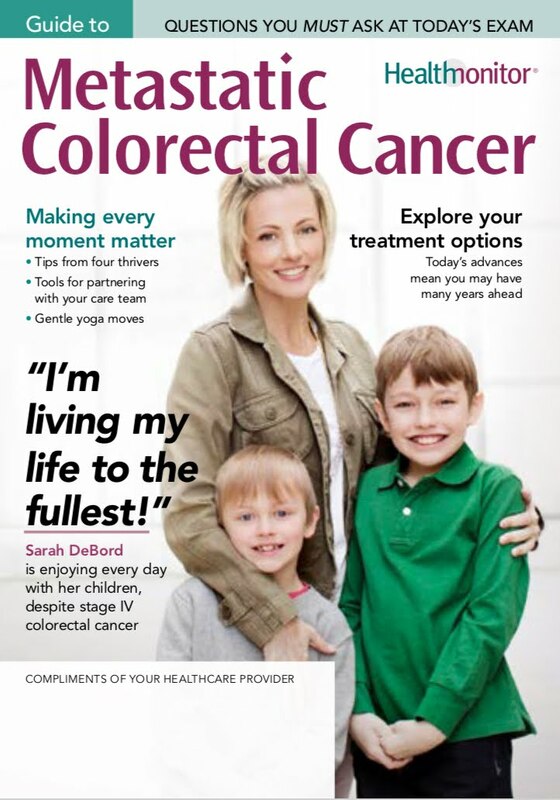 Your blog is giving to more knowledgeable about Colon Cancer Treatment! 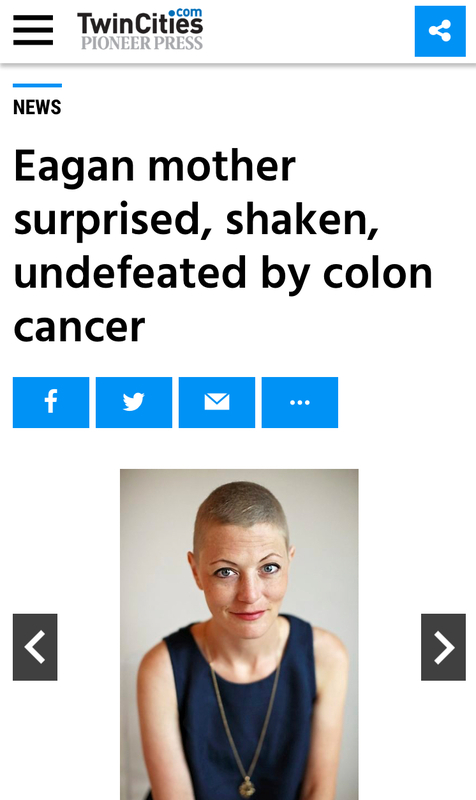 Thanks for sharing with us, here also get the best Colon Cancer Treatment Mumbai.